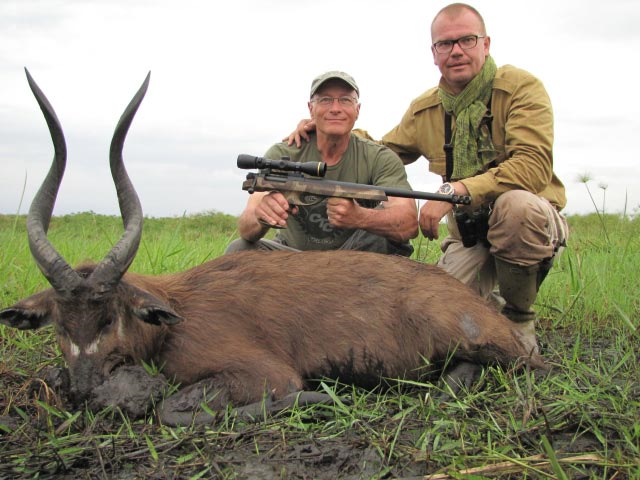 Well-known handgunner (and GSC/O Director) Mark Hampton shot his entire "wish-list" on a safari guided by PH and Owner Christian Weth of Uganda Wildlife Safaris and he did it in only 10 days!!! 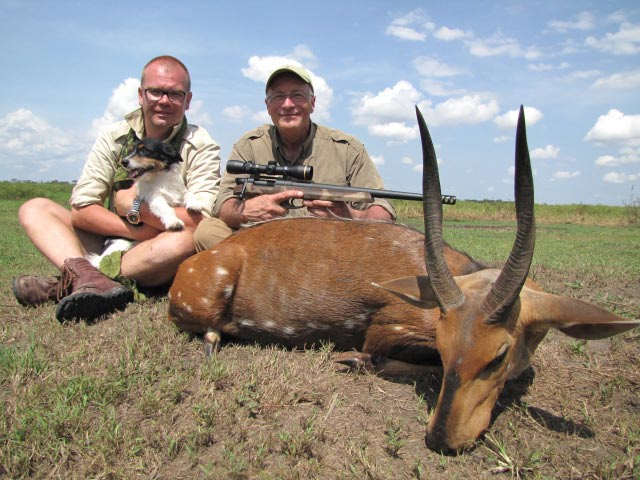 All of the following comments are direct quotes from Mark following his March safari. 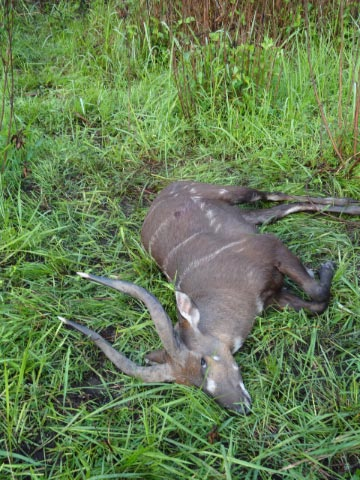 Words cannot describe the heart-pounding excitement when a mature sitatunga bull emerges from the papyrus. It's an experience the hunter will never forget! 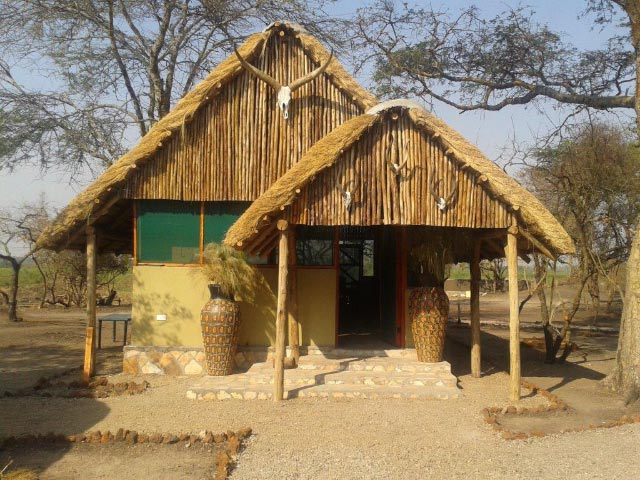 This was my 24th African safari and was at the very top with the best of them. 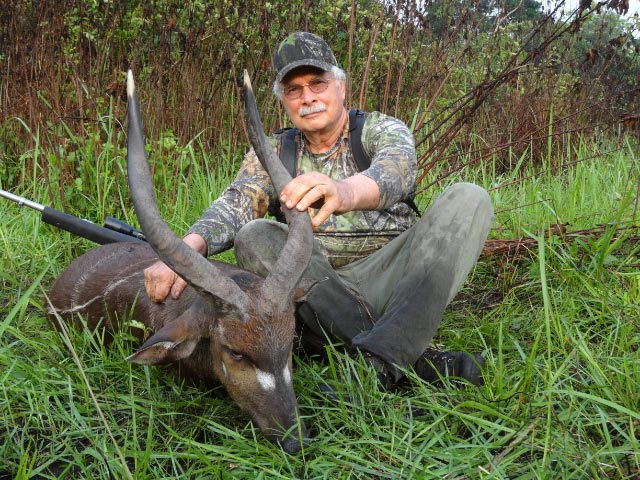 I shot more species, more quality trophies, than I even dreamed would be possible. 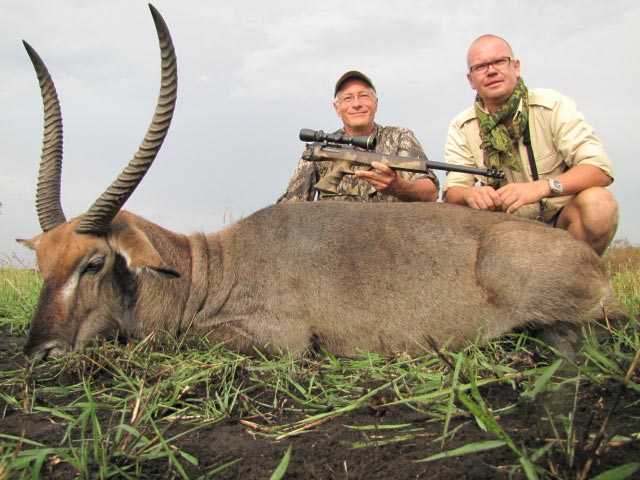 Stalking within 40 yards of a Nile Buffalo can be nerve-wrecking! 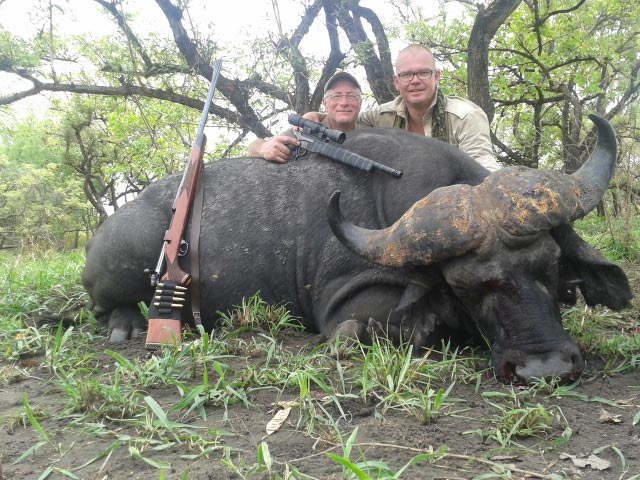 Taking a big bull with a handgun ..................... priceless. 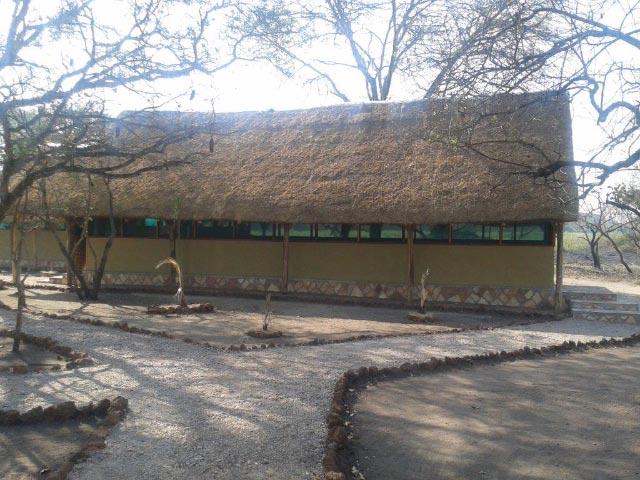 The camps were beautiful and comfortable. I strongly encourage hunters to bring their spouses. My wife loved it. 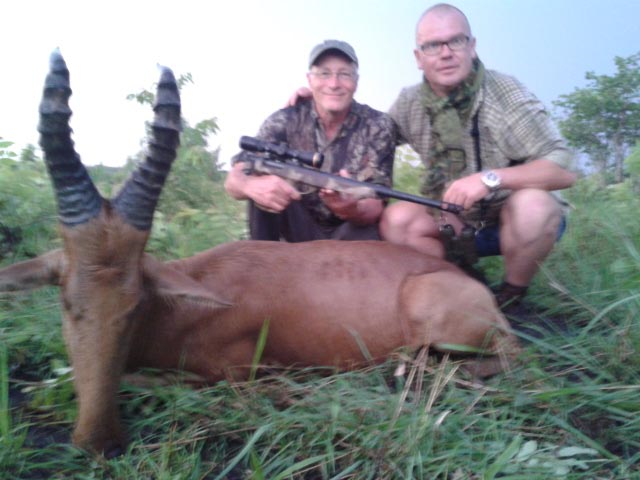 Thanks to Christian Weth for a great safari! Ken Wilson arrived Bangui, C.A.R. 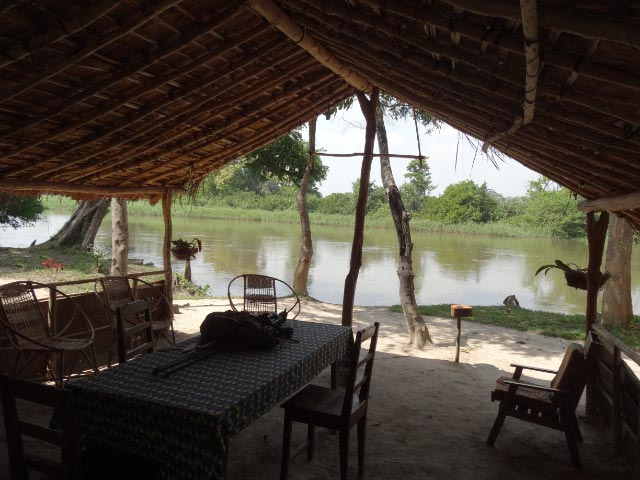 on February 20, overnighted, and then flew southwest of Bangui to the concessions of Red Buffalo Safaris. 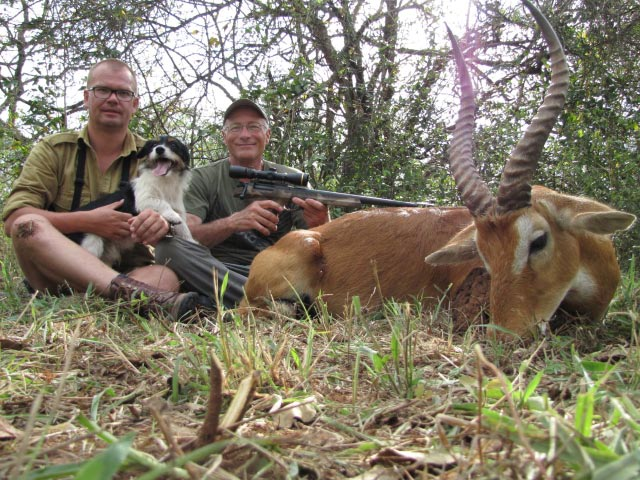 His goal was to hunt the hard-to-get species: Dwarf Forest Buffalo, Yellow Back Duiker, and Forest Sitatunga. 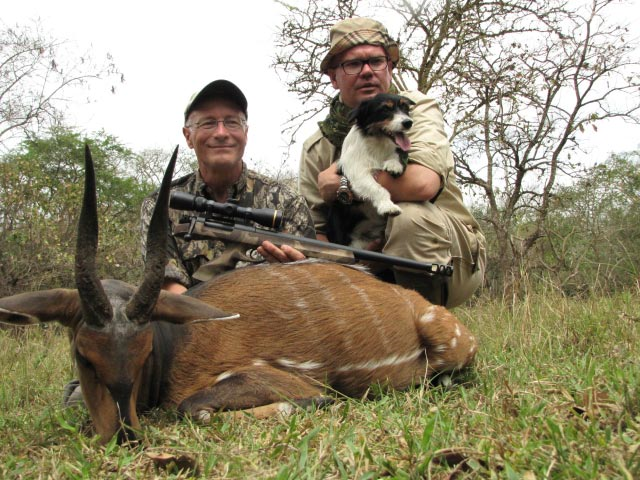 All of the following comments are direct quotes from Ken following his February safari. 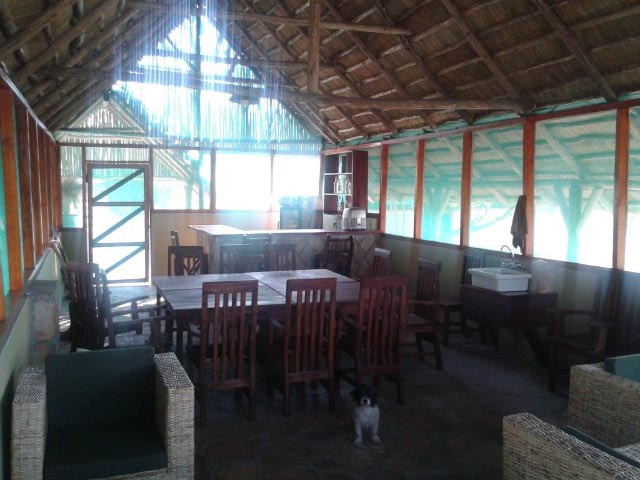 Red Buffalo has 4 beautiful camps, all situated on rivers. The hunting is done by driving or boating to points where you track game or sit in machans overlooking jungle breaks and salt licks. We were on Buffalo tracks every day and got close, very close, on three occasions, but each time I could not pick out the Bull in time to pull the trigger before they ran. It was going to be just a matter of time until I shot a Dwarf Forest Buffalo; then suddenly I got a shot at a Forest Sitatunga. Unfortunately, shortly thereafter, on Day 5 of my 12 day safari, my PH, Karl Noren, determined from scouts that there were 13 Sudanese poachers in our area and unhappy with our hunting and anti-poaching patrols. They were after only Elephants and had killed 17 by the time we became aware of their presence. 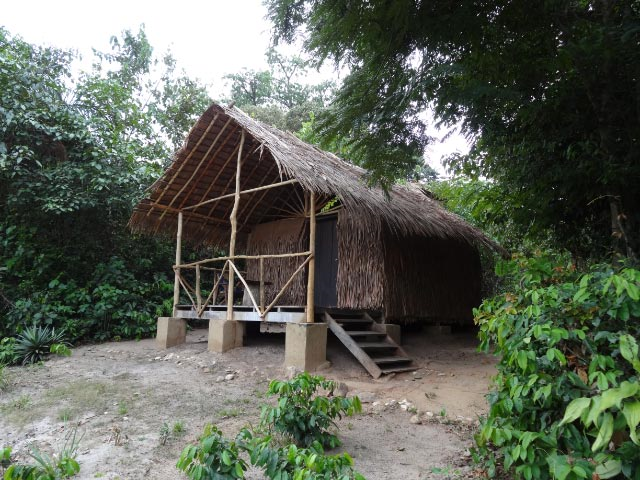 By agreement that we would to take no chances, Karl called off the balance of the safari and we drove back to Bangui and overnighted before my departure. Bangui was quiet ... we walked the streets to a beautiful open-air restaurant-bar ... and I departed the next day, February 28, without incident. However, on March 24, the rebels forced the unpopular President Bozize to leave the country while promising a peaceful transition to an eventual democratic government. Time will tell. I am currently planning to return in June with my son. 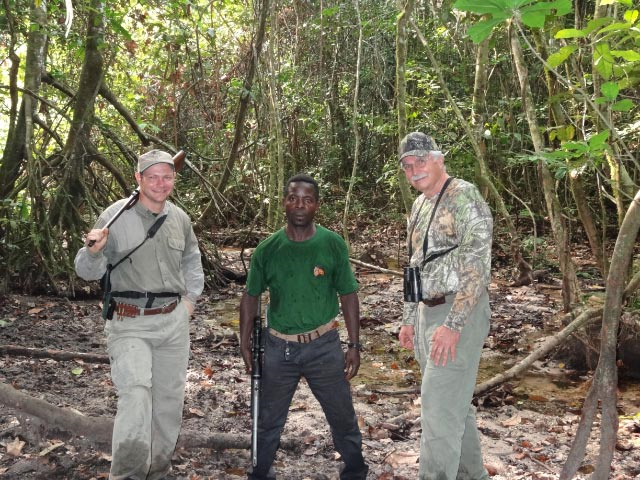 My PH, Karl Noren, is on the left and one of our Pygmy trackers is in the middle. 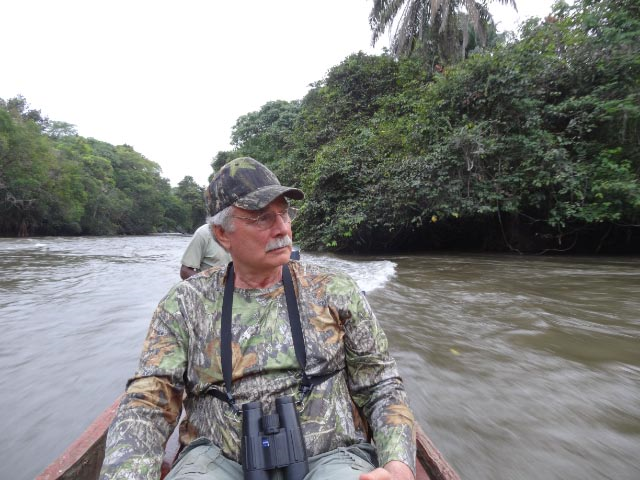 There is nothing like a jungle safari ... nothing like it in the world of hunting. 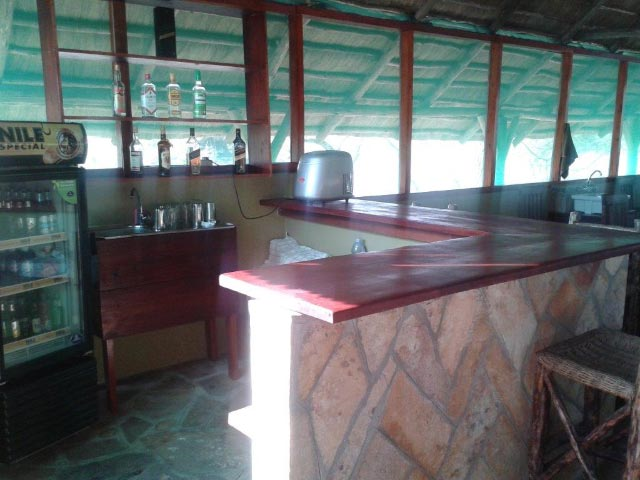 CONTACT KEN WILSON FOR VERY SPECIAL PRICING AVAILABLE FOR JULY - DECEMBER 2013 OPENINGS IN UGANDA AND JUNE-JULY 2013 OPENINGS IN THE C.A.R.